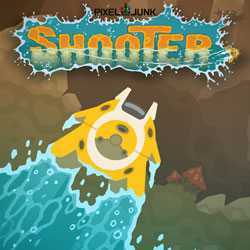 PixelJunk Shooter is an Action and Sci-fi game for PC published by Double Eleven in 2013. Control an spaceship under grounds with pressure. Humans needs your help. You should use this spacecraft to rescue them. Each human is stocked in an unique area. It’s your duty to save all of them.